THE LOOK: ALL-STARS is a one-hour reality TV competition series, airing prime-time Sundays from June 24th, syndicated nationally across CW and MyTV Network stations. The show is focused on head-to-toe makeovers performed by the respected established hair, makeup and fashion stylists who compete and deliver two makeovers per episode. 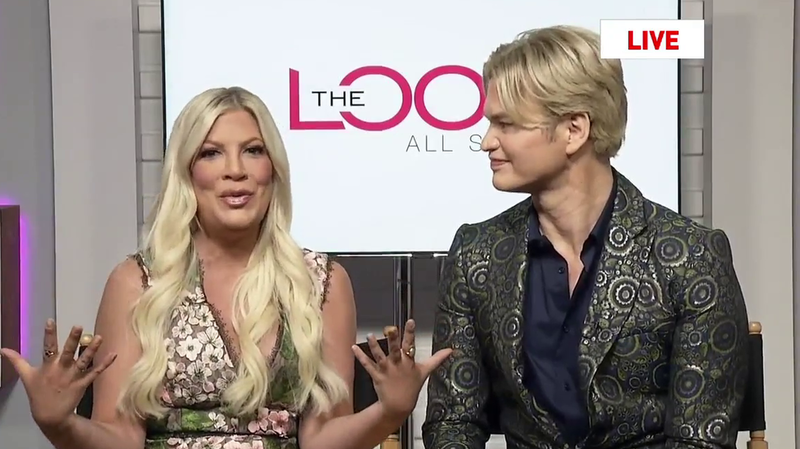 Hosted by actress Tori Spelling, with Style Guru Kim Vo, THE LOOK: ALL-STARS is an upbeat head-to-toe makeover competition show featuring two teams of beauty and fashion experts at the top of their game, performing real-world and aspirational transformations. The show provides a platform to elevate the hair, make-up and fashion industry artists by showcasing the latest and greatest in beauty tools, products, and fashion trends. THE LOOK: ALL-STARS will highlight talent, allowing established names to pass on their knowledge and excitement to viewers. The makeovers will provide inspiration and specific ‘how-to’-s in two themed timed challenges. THE LOOK: ALL-STARS is all about showing amazing makeover transformations and the techniques that allow anyone at home to get the same look! Many professional beauty partners and products are highlighted throughout the episodes, including Aquage; Biosilk; Chi; Conair Professional; Esquire; HairTalk; Minerva; Obliphica; Olaplex; Rusk; Schwarzkopf; TIGI; Zadro; WetBrush; Sportsclips with American Crew, Joico and Paul Mitchell; BSG CosmoProf, and the Professional Beauty Association. Beauty legends, fashion icons, recognizable names from entertainment, and top social media influencers are featured on the show as judges and special guests. One team per episode wins the grand prize that includes a VIP vacation package from Westgate Resorts. The show is executive produced by Jeanette B. Milio.